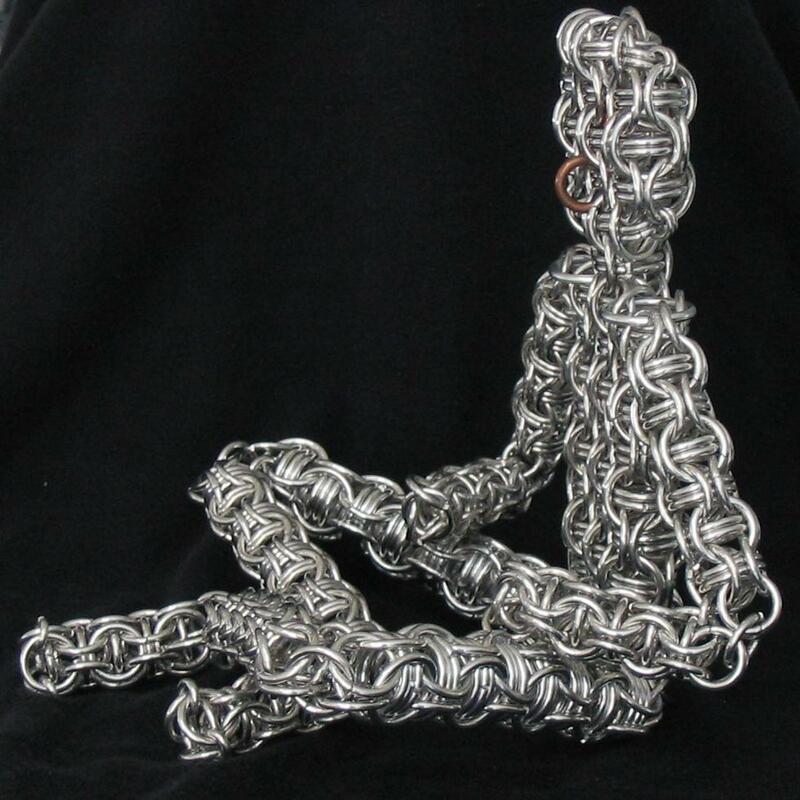 A second view of a sculpture of a chainmail person. The body is Staggered Captive Inverted Round Sheet(C2) at 6.2 AR: .078" 7/16" aluminum, and .080" 29/64" aluminum. The arms and legs are a combination of Captive Inverted Round (C1, C2, and C3) at 6.7 AR: .078" 31/64" aluminum, 5.8 AR: .078" 13/32" aluminum, and 5.1 AR: .078" 23/64" aluminum, respectively. I've made clothes, hair and a book for him, but this picture shows how he's put together.